This book provides step-by-step instruction on modern 3D graphics shader programming in C++ and OpenGL. It is appropriate for computer science undergraduate graphics programming courses and for professionals who are interested in mastering 3D graphics skills. It has been designed in a 4-color, teach-yourself format with numerous examples that the reader can run just as presented. The book is unique in its heavy emphasis on student learning, making the complex topic of shader programming as accessible as possible. Includes companion files with source code and images. 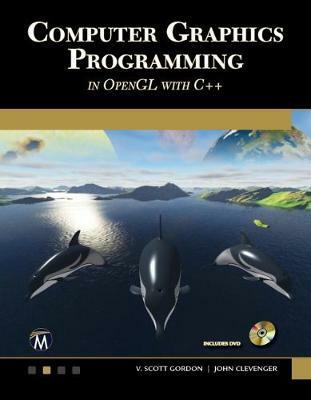 FEATURES: Covers OpenGL 4.0+ shader programming using C++, using Windows or Mac. Includes companion files with code, models, textures, images from the book, and more. Illustrates every technique with complete running code examples. Everything needed to install and run every example is provided and fully explained. Includes step-by-step instruction for every GLSL programmable pipeline stage (vertex, tessellation, geometry, and fragment) – with examples. Explains how to install and use essential OpenGL libraries such as GLEW, GLFW, glm, and others, for both Windows and Mac.